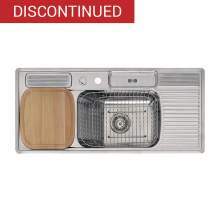 Maximise your overall draining capacity and versatility with a double drainer kitchen sink. 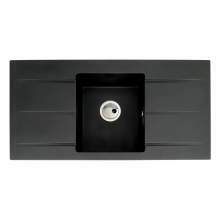 If you require a large surface area for draining then a double drainer sink may just be the perfect answer. 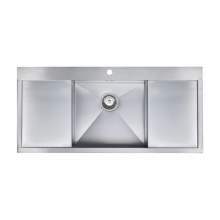 Most models have a single bowl which gives the benefit of being able to fit a large sink within a small kitchen base unit. This is possibly due to the fact that the drainer section sits above the worktop and only the sink bowl drops down into the sink base unit.